We are now four games into the 2015/16 Euroleague regular season and three teams are still holding a perfect record. There were only five games played on Friday night but there were more than enough big moments and times of drama for fans to enjoy. There was just the one game in Group A on Friday and it resulted in an away win. The away team were never behind in this game in Servia and it not only provides them with their first win on the road this season, it represents the first road win in Group A this season. The win places Fenerbahce on to a 3-1 record for the company while the hosts now hold a 1-3 record. A 0-13 scoring run at the start of the game put the Turkish side in full control and when the away team went 21-25 ahead in the second quarter, they never lowered the lead or their guard. 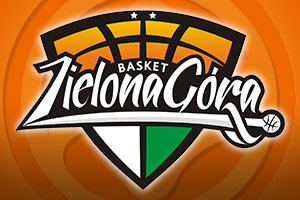 Ekpe Udoh offered up 12 points while Bobby Dixon and Jan Vesely grabbed 11 points each. For the hosts, Vladimir Stimac did his best to haul them back into contention with 13 points and 7 rebounds while Maik Zirbes and Ryan Thompson provided 10 points each. There were no games in Group B on Friday night but it was a full house in Group C with three games on offer. 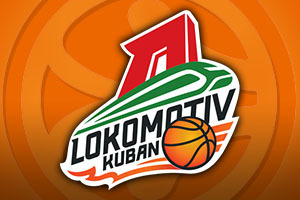 Lokomotiv maintained their perfect start to the season with a performance that kept their opponents under wraps. There may not have been too many points on offer over the course of the evening but the home fans wouldn’t have minded too much. The away side slipped to a 1-3 record with this loss on a night when they held a 30-35 lead at half-time. Malcolm Delaney and Evgeny Voronov both grabbed 15 points for the winners while Victor Claver offered 13 points. For the away team, Joe Ragland provided 15 points, Colton Iverson offered 12 points and Justin Carter grabbed 10 points. The Catalans were toiling at one point but they bounced back to maintain their 100% record in Kaunas. The win meant that Barcelona holds a 17-1 record in the series with Zalgiris and a 3-1 record for the campaign with Kaunas dropping to a 2-2 record. The hosts were ahead for 15 minutes in this game but Barcelona, through experience and a strong bench, eventually moved into the lead. Ante Tomic was once again a key man for the Catalonian club with 18 points and 8 rebounds while Carlos Arroyo provided 12 points. Pau Ribas served up 11 points while Juan Carlos Navarro and Justin Doellman both nabbed 10 points each. For the hosts, Renaldas Siebutis grabbed 18 points, Paulius Jankunas offered up 17 points and Ian Vougioukas nabbed 16 points. This was the first win of the campaign for the home team and the Polish champions now move on to a 1-3 record in Group C. This is the same record as Panathianokos and these teams tie with Pinar for fourth place in the group. The hosts held a 7 point lead at half-time and while the Greeks were never out of the running, levelling the game in the fourth quarter, the Polish side always looked to have enough to win. Mateusz Ponitka offered up 13 points and 10 rebounds while Dejan Borovnjak added 12 points. James Feldeine added 15 points for the losing team while Sasha Pavlovic offered 11 points and Ognjen Kuzmic added 10 points. Like Group A, there was just one game in group D on Friday evening and in this one, the home side triumphed with a bit to spare. The Spanish side moved on to a 4-0 record but they still share top spot in the group as CSKA Moscow, who won on Thursday night, also have a 4-0 record. The away team moved on to a 0-4 loss but for now, all eyes turn towards Moscow when the two Group D sides with a perfect record clash. Closing in on half-time, the hosts were 31-37 down but a 24-0 scoring run changed the game and put Malaga on easy street. Richard Hendrix delivered 19 points, Will Thomas offered 14 points, Edwin Jackson provided 11 points and Dani Diez scored 10 points for the winners. For the away team, MarQuez Haynes provided 18 points while Rok Stipcevic offered up 12 points.